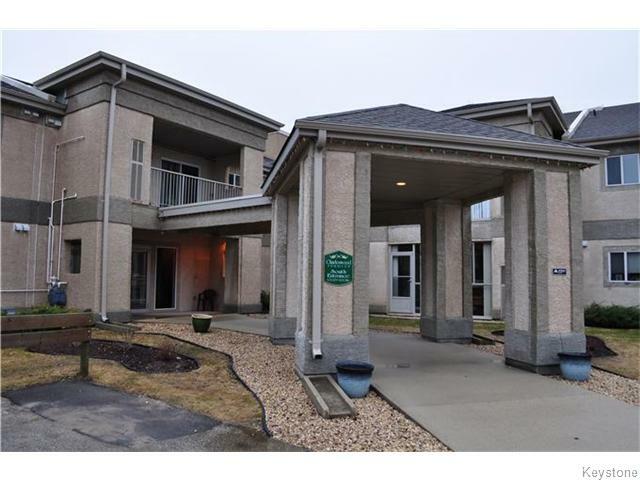 Beautifully updated condo in the Charleswood Terrances. Modern 2 bedroom/2 bath condo, including a private master suite boasting a walkin closet, large linen closet and a full four piece bath with floor to ceiling one piece tub and surround. Both bathrooms come with a stylish Venetian Gold extended granite design. The kitchen was recently updated with this same matching granite, new cabinets, under mounted Blanco double sink, pull out faucet, pantry, high end appliances including glass cook top range with steam cleaning convection oven. All this with a cute eating nook. A more formal dining area set within the design, large living room and cozy gas fireplace with elegant mantle. Private sunroom overlooking small green space and flowerbed. The sunroom is a three season with floor to ceiling windows and your own private door to outside. In suite laundry and plenty of storage. Close to Charleswood Shopping Centre and Assiniboine Forest. Built in 2000, come see this in high demand quality built condo.